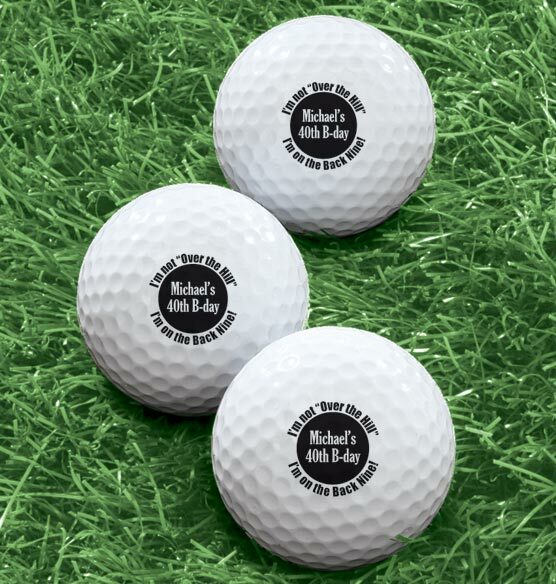 Made just for your favorite seasoned golfer, these quality, personalized over the hill golf balls remind a loved one that age is but a number. Printed with the phrase "I'm not 'Over the Hill,' I'm on the Back Nine!" wrapped around a name or message of your choice, these custom golf balls are sure to delight from the first tee to the last. One message per pack of six solid core white balls. Specify message; limit 2 lines, up to 10 characters each.